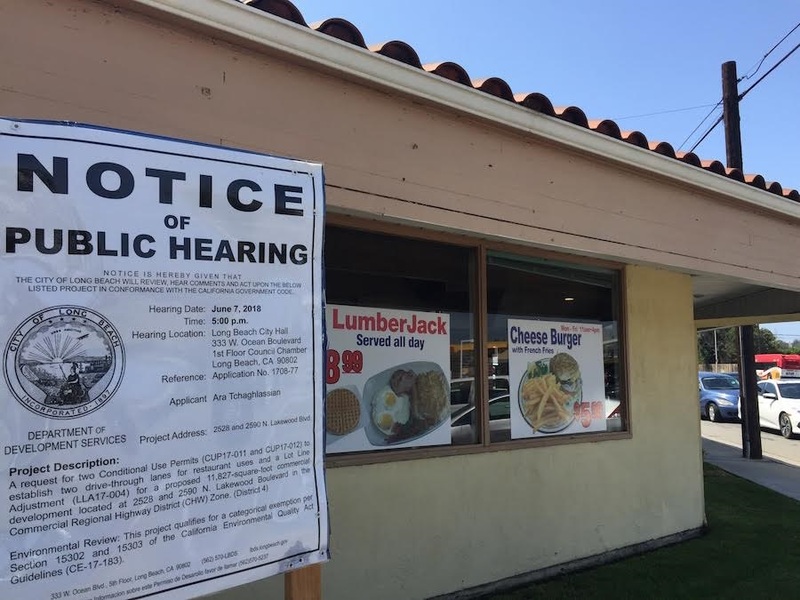 A project that could dramatically overhaul an aging corner of East Long Beach moved one step closer toward construction after the Long Beach planning commission voted 4-0 to approve conditional use permits (CUP) that will allow the installation of drive-through lanes at the location. The corner currently hosts an aging Spires restaurant and a tire services business but under the new development plans would be reshaped to hold two businesses with drive-through lanes and another fast casual restaurant while shrinking the existing tire business but not eliminating it entirely. Two of the businesses identified as new tenants are Starbucks Coffee, which would anchor the southeastern corner of Lakewood Boulevard and Willow Street along with another to-be-determined co-tenant, and Jack In The Box, which would be located between the Starbucks and existing tire shop. The unknown tenant that would share the space with Starbucks is expected to be a fast-casual sit down restaurant. Both the Starbucks building and Jack In The Box would have drive-through lanes which could operate between 4:00AM and midnight under the conditions of the CUP with the corner lot’s drive-through speaker facing toward Willow Street and the Jack In The Box speaker facing toward Lakewood Boulevard. Part of the project will also include residual improvements to the sidewalks and other public right of ways along Willow and Lakewood including a widening of public bus stop areas. Residents within 750 feet of the project area were noticed but few turned out to speak on the matter. Of those that spoke the potential impacts on traffic at the already congested intersection were a concern as were the idea that cars leaving the newly configured parking lot would have direct access to the alleyway that separates the businesses from residences to the south and east of the project site. Casey Dimmitt, a resident in the neighborhood across Lakewood from the project site said that he was excited to see something being done with the lot that he said had been in disrepair for quite awhile but expressed concern that cutting down the footprint, and the parking lot, of an already busy tire business could be detrimental to customers and the drive-through lanes would negatively impact traffic. Alexis Amador Morero, who serves as the president of the neighborhood group nearest the project site, said that the planned development had blindsided neighbors as many were unaware of the plans. 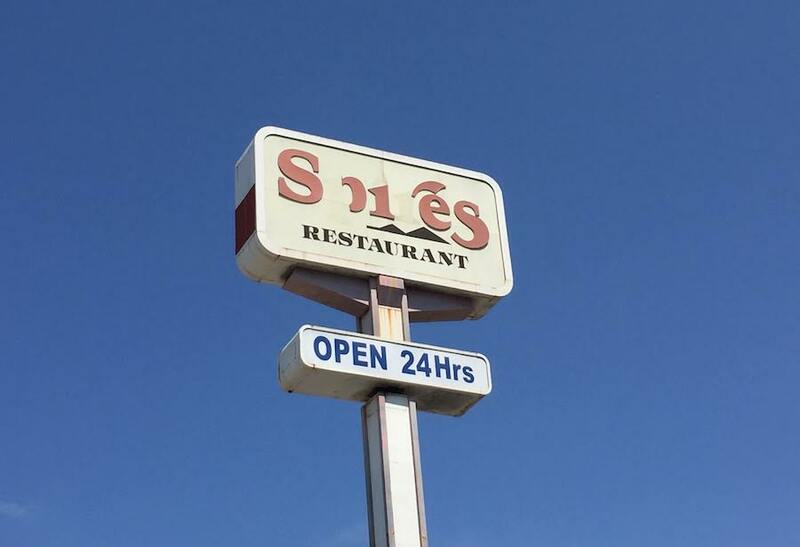 She added concerns that East Long Beach was receiving too many fast-food businesses and asked for more sit-down restaurants be considered in the future. The planning commissioners clarified that they cannot control what types of restaurants go in but did hold the keys to recommending to the city council whether they could have drive-through lanes. After a brief discussion the commissioners voted to approve the CUP for the drive-through lanes but asked city staff to completely wall off the businesses from the adjacent alleyway including an existing driveway that connects the parking lot to the alley.